★★★★★ Just purchased this item and when I did I was a little skeptical because there were no reviews. It has been about a week so far and I have noticed no issues. One of the outputs is a 50ft HDMI and the other output is a 20ft. When I first hooked this up I did not receive a picture on either TV. I switched around the HDMI cords and everything worked fine. I believe the reason why it did not work the first time was because I had the cheapest HDMI wire possible feeding the input of the splitter. Put a better HDMI cord on that was feeding the splitter and picture looks great on both TV's. ★★★★★ I needed to display output from a laptop to two HDTVs, and this did the trick. I had first purchased an unpowered HDMI switch, not carefully reading the description. A switch will only send output to one device at a time, so that didn't work. 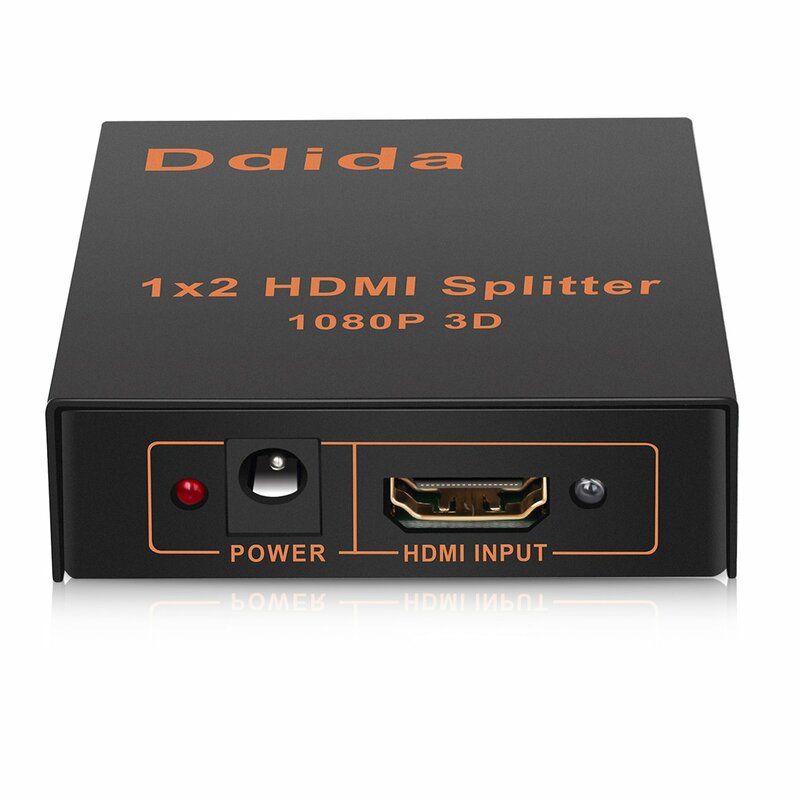 This powered splitter is just what I needed. The only small negative is that the power cord is very short, maybe 2 feet long. ★☆☆☆☆ For my use case, showing my Roku output on two screens, it is useless, as the Roku gives HDCP errors once you try to actually go into Hulu, Amazon, or any other app, although it works fine for the main menu. ★★★★★ It works great for what I need it to do. ★☆☆☆☆ I bought it to split hdmi but it didnt work. I returned it.